Orange Motorola Defy deal, already gone! Come on, with only hours to go you’re no doubt looking for deals and ideas for Christmas. 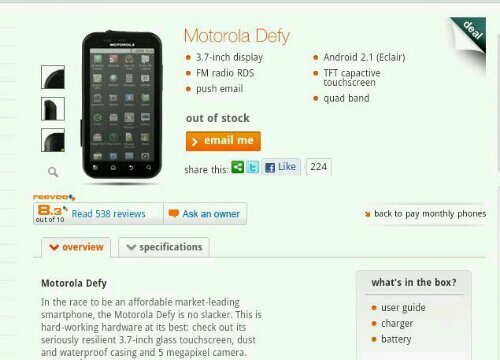 Orange are dishing up the Motorola Defy, complete with 3.7″ screen, FM radio and Android 2.1, for a mere ￡99.99 with a ￡10 top-up. Well… They were… It looks to have run out of stock already, so you might be able to get one in an Orange shop somewhere. Let us know if you do.